These are complicated times for communication: citizens are often angry and/or confused, byzantine data requirements are tying up organisations of all kinds, and “real time” has a sort of elasticity where sector processes can take ages but sector gossip travels faster than light. We’ve been hearing lots of people in FoL’s network talk about – or lament the lack of – transparency, usually in data or decision-making. It seemed worth assembling a few current examples of where that’s making a difference; if you’ve got any good examples to share or want more info on the cases here, drop us a line! Future of London is known for its focus on leadership skills and communication, and one of the most vivid recent examples of that was served up by Swan Housing CEO John Synnuck and his Comms team. For the company’s October managers’ event – and on the eve of Swan’s 25th anniversary – they agreed that an ‘in conversation’ session with Synnuck would set a tone of frankness and ambition for the day. 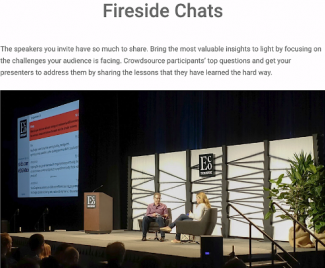 I was brought in to guide the conversation, and there was a prepared Q&A list that both captured key strategy points and anticipated some questions, but there was also a sli.do option (other live-polling apps are available…), where participants could feed live, anonymous and unfiltered questions to a screen for me to ask – and for Synnuck to see. It was wide open: from whether Swan was going to merge (no), what the timetable was for a second manufactured-housing factory (ASAP) to what would be done about silos or imbalances between divisions (addressing that). Aside from the distraction of a large, scrolling screen – I’d advise not having the speaker be able to see it! – it was brilliant, if a little suspenseful. This won’t work for everyone or in every context, but for a frank leader ready to address tough questions, it offers staff a safer way to speak up than a hands-up town hall format, and the inevitable jokes and IT glitches helped lighten the mood. It seemed a great way to kick off, and reports from the rest of the day seem to bear that out. One to consider for your next event or staff day? 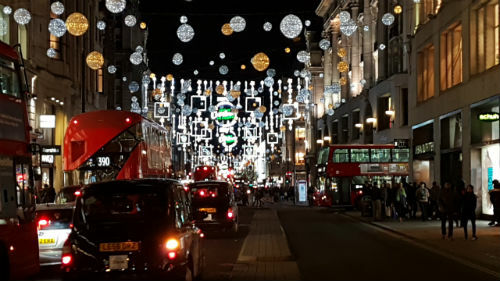 While the City of Westminster has highy diverse income levels, it’s home to some of London’s wealthiest, busiest and most complex districts, including Mayfair, Oxford Street, Soho and Trafalgar Square. The borough has a median property value of £1.05m; land is scarce and at a premium. For 17 years, planning and development in Westminster was the responsibility of a four-person planning committee – quorate at chair plus one – where residents were not able to speak, while developers had regular access. After planning chair Robert Davies stepped down following allegations of misconduct, Council Leader Nickie Aiken introduced the “biggest changes for Westminster planning in a generation”, with the intention to “reinforce the role of residents at the heart of the planning process”. 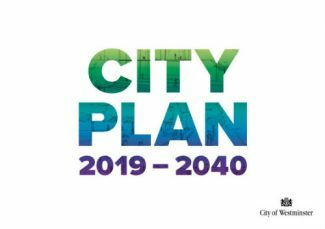 The new City Plan includes a 35% affordable housing requirement for new developments and restrictions on ‘mega-mansions’. With major regeneration plans in the pipeline for complex areas of the borough, these changes are timely. At the Marble Arch end of Westminster’s Edgware Road, apartments in an Almacantar development overlooking Hyde Park are priced between £2.75-66m. Further north, the stretch between Hyde Park and Little Venice, nicknamed “Little Beirut” and “Little Cairo” in parts, is home to hundreds of small businesses. The street underperforms other parts of the city financially, but hosts vibrant and primarily independent commercial zones. Edgware Road and neighbours such as the Church Street regeneration area are seen as the last parts of Westminster to undergo significant change. The challenge will be sustaining existing places and people and addressing pervasive social and health inequalities while growth takes place. Council transparency and resident participation will be critical to securing that balance. Transport data is a long-standing component of the evidence base for city planning. Since at least the 1950s – long before terms such as ‘big data’ and ‘analytics’ – datasets covering subjects from travel demand to modal split have been used to inform the projections that drive policies, shaping new services and infrastructure. Ride-sharing, journey planning apps and on-demand services are game changers – data is collected in real time, and on an unprecedented scale. This offers huge scope to improve efficiency, deliver personalisation and unlock innovation. To realise the benefits, data must be managed and used ethically, and with greater transparency. For nearly a decade, TfL has been releasing significant amounts of data – including timetables, service status and disruption information – in an open format for anyone to use, free of charge. More than 600 amateur and professional application developers use this resource, and 42% of Londoners use the resultant apps to plan journeys. Journey planner apps help over 42% of Londoners navigate complex systems. The onus now is on private companies to follow suit. In a policy statement released prior to the reinstatement of Uber’s London license, TfL laid the groundwork for requiring private-hire firms to share anonymised, aggregate journey data. This makes sense: recent research from Deloitte shows TfL’s open data generates annual economic benefits and savings of up to £130m a year. Uber holds GPS-tracked data on millions of trips per week, offering even greater insight into travel conditions and journey times at different times of the day or the year. This can be extrapolated to fine-tune service delivery based on the impact of major events, road closures and infrastructure investment across the city. London’s complex web of roads, rail and water is a growing challenge. Getting ahead of TfL’s data-sharing requirements, Uber itself launched Uber Movement, “a free tool which uses Uber’s anonymised data from millions of trips to help urban planners make decisions about their city.” The tool requires email sign-up but is free to use and open to all. 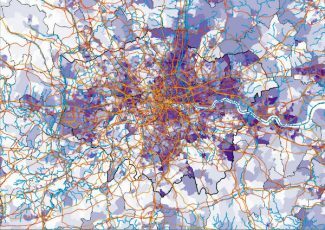 As London’s web of roads, railways and other infrastructure expands, understanding how people move around the network becomes increasingly important. Uber is the first major private firm to move towards an open data model, but here’s hoping more will follow. Greater transparency from and between all providers would help build a better-connected and more coherent city.